Elena says, “My life was missing something at the time of the jump. I needed to add some excitement and to do something extreme." 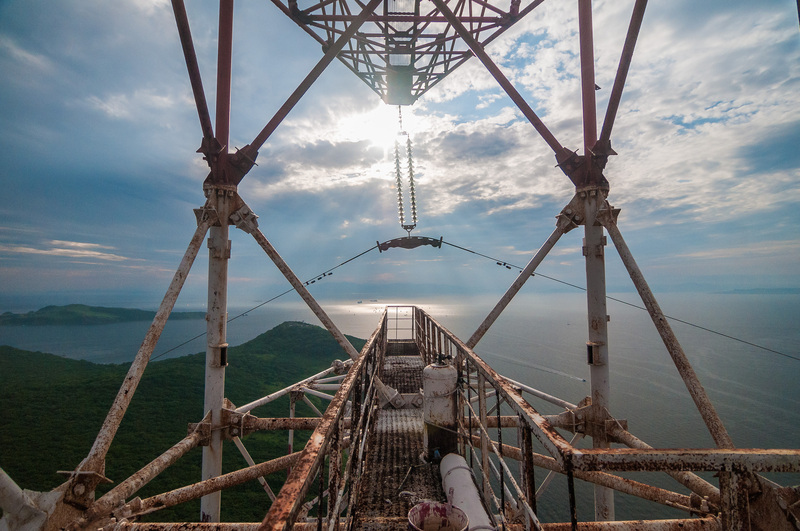 Bungee jumping from 330ft (100m) is risky enough, but to make that leap from a live electric transmission tower – takes it to a whole new level. 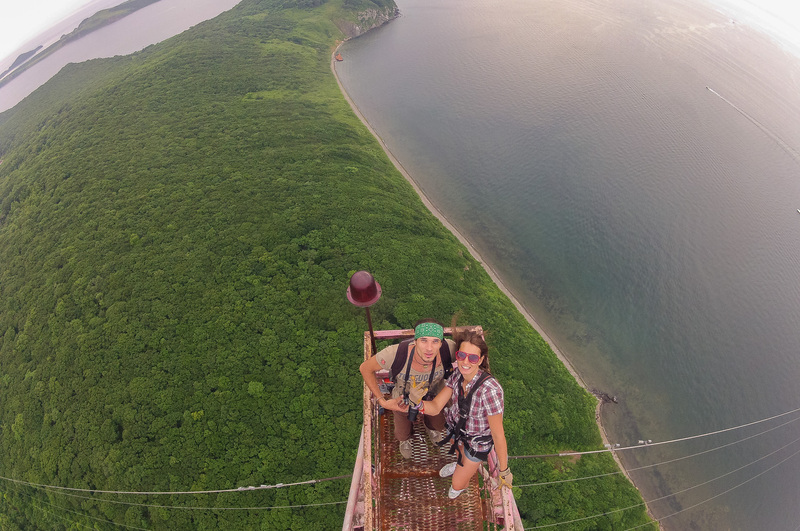 Bungee jumping from 330ft (100m) is risky enough. 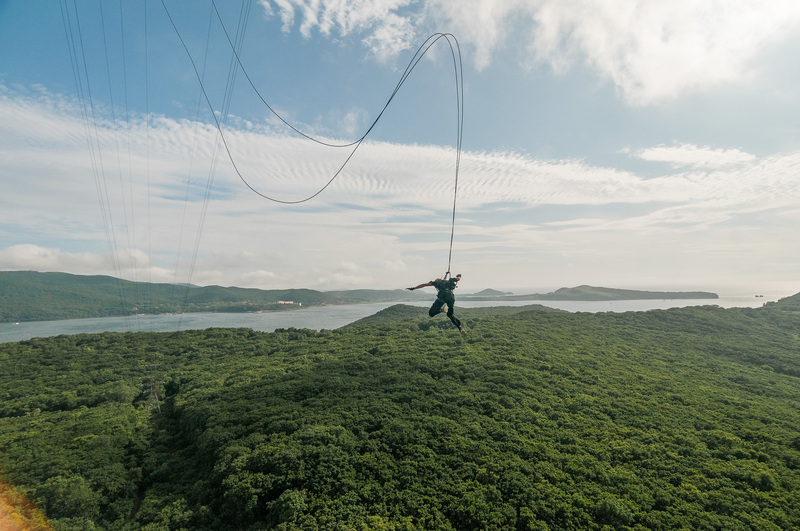 But to make that leap from a live electric transmission tower – and then zip-line to the ground with your ropes just below power cables – takes it to a whole new level. 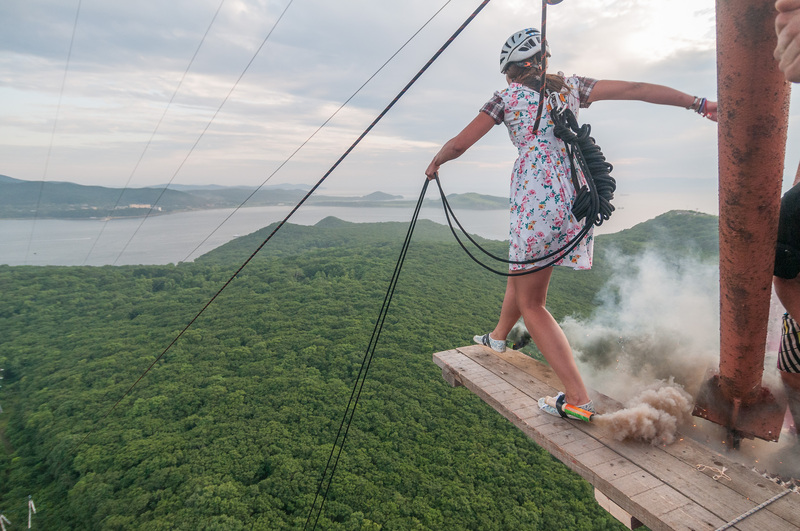 But you won’t find the word ‘fear’ in daredevil Elena Kazachenko’s vocabulary. 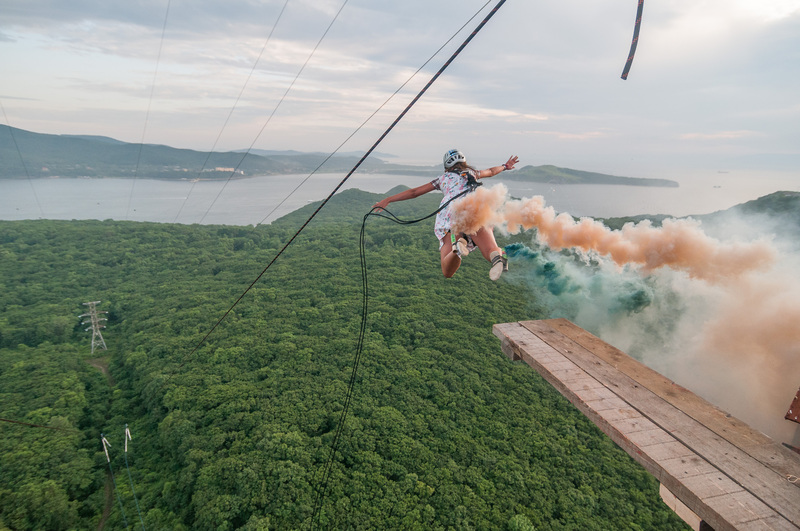 This is the incredible moment when the 23-year-old from Vladivostok made that very jump. 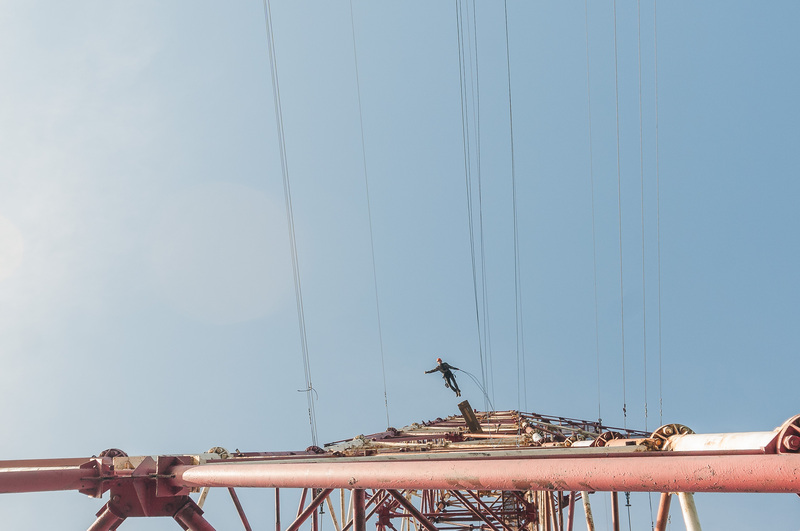 In a dramatic sequence of images, the adrenaline junkie can be seen leaping from a makeshift wooden beam precariously placed over the edge of the structure. 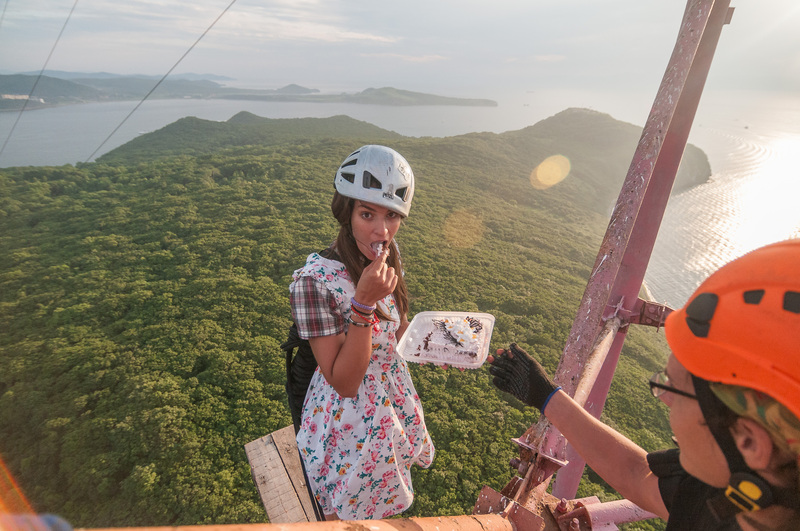 However, instead of plummeting nearly 330ft to the ground below, she is suddenly snatched to safety by a self-made zip-line running just below live electric wires. 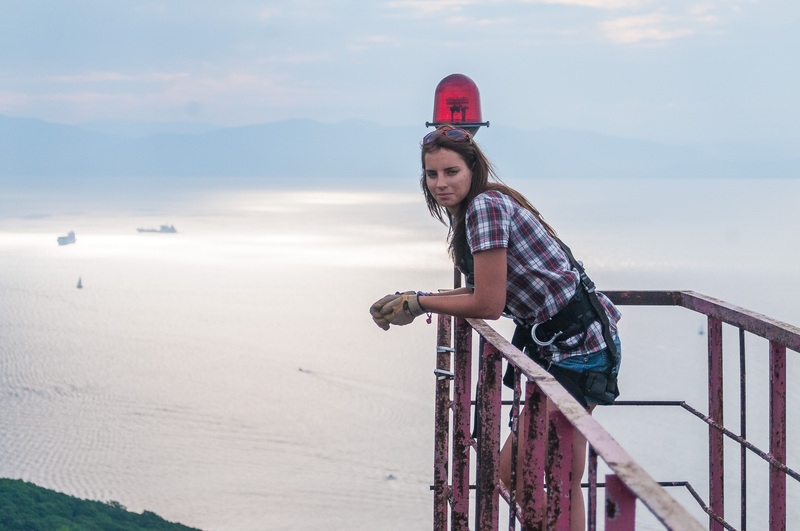 And as if diving off a huge tower wasn’t dramatic enough, Elena even leaves behind a stream of colored smoke from a signal flare attached to her ankle. 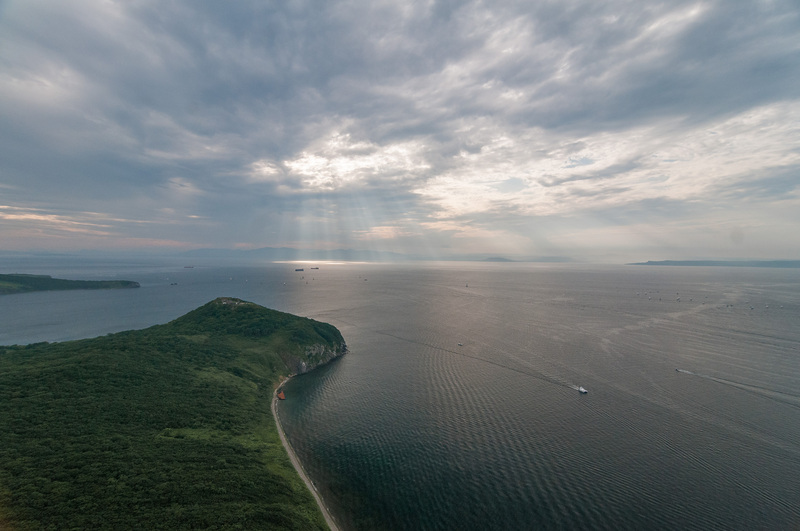 Taken at Elena Island, near Vladivostok, the images prove she has nerves of steel by narrowly avoiding live electric wires on her perilous journey downwards. “2013 has the been the most extreme year of my life. Bungee jumping is not my only hobby. 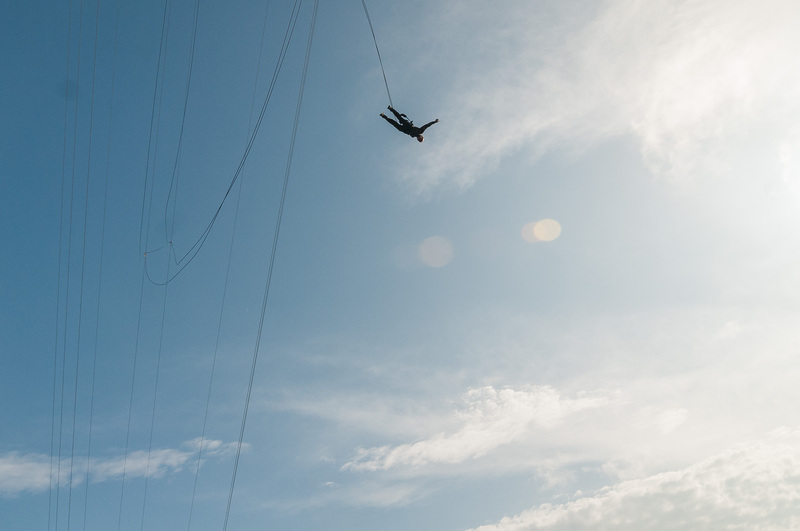 I also enjoy snowboarding, cliff diving and slack lining [balancing on a nylon wire between two tethered points], but this was by far my favorite moment." 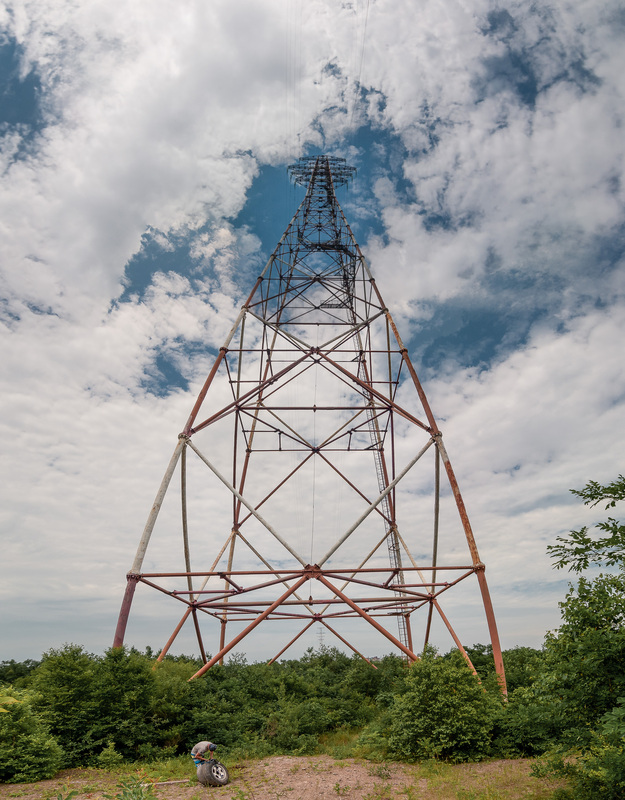 “The pylon was definitely in use when I jumped, but I don’t worry too much about the safety aspect. That’s all part of the thrill." 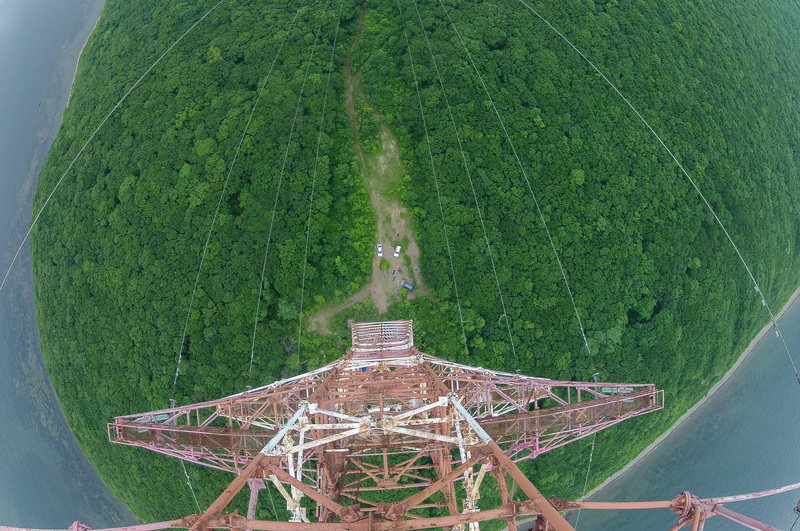 “I believe the tower is around 100 meters high and I was freefalling for over four seconds. It was incredible." “You need to do it yourself to really understand the feeling."